Sorry for the resurrection of this thread but I recently read this interesting little book. Longchenpa insist, in this book, that one have to practice these four preliminaries before engaging in proper Dzogchen practice. The way he introduce the natural state are with bliss, clarity and non-thought. These practices are also described in much detail. Very interesting book. Yes, because Sem side is the completion stage of Maha and anuyoga. This is also how ChNN teaches the practice sems side in a practical sense. This set of books is about sems sde, and was also written before he met Kumaraja. If you say so, but I don't see how that matters actually. 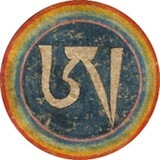 Sems sde is also Dzogchen. Can someone comment abit about the relationship between practising yidams and dzogchen? What is the common trend now? Do we need to practise yidam in order to practise dzogchen and how many yidams, dakinis and protectors do we need? any related comments or experiences in this area thanks! Good posts all and a wealth of information about the bhumis, paths and Ven. Longchenpa. I was struck by the inadvertent excellent answer to this question provided in the quotes that Magnus attaches to all of his postings. At one point in my life when I was collecting Yidams, to try them on so to speak, I felt a little exhausted - it seemed endless. So I asked several Dzogchen Masters, " Are all creative visualization / absorption practices the same?" They each first looked at me with a little surprise and then said "yes". This meant that I could relax about collecting Yidams. So I then concentrated on one yidam and was very content. A yidam is useful for accomplishing things in the world - magic powers if you will. These powers are the spare change of practice - not the heart of the matter. The heart of the matter is to become enlightened. I think that I am very fortunate that I have never sought power of any sort. I take Ven. Longchenpas' thirty pieces of advice to heart. This is a practical guide to the heart of the matter. So going back to the original question and the inadvertent answer - This is the key point. So for Dzogchen you don't need any yidam, but you can practice 1000 if you like. The key point is to integrate (non-dual) all practice with guru-yoga. In ChNNR's use of this phrase, it means integrate (non-dual) everything with the natural state. The issue of how you parse the stages of the path is resolved in the same way. Whatever modal you use, you are fitting a framework onto the endless variety of human experience. Perhaps experience is a flow and cannot be captured by snapshot definitions. Certainly it is interesting to have a yardstick by which to measure your practice, but in Dzogchen, integration with the natural state puts to rest all these questions. This is the single point that unlocks all questions / doubts - the famous "one taste" - like trying to write on water or air. So in Dzogchen it all knocks down to direct introduction, developing confidence and continuing. In the great completion, it does not matter whether you take 1000 yidams or none. Your job is to integrate (non-dual) everything into the natural state 24/7. Several posts split to What happens at the end of a mahakalpa? Thanks for suggesting this book. According to ChNN, sems sde must be practiced in conjunction with regular creation and completion stage, that is the point I am making. Sems de, unlike man ngag sde, is not an independent system of practice. Why is that so that it has to be paired with creation and completion stage? One cannot attain rainbow body with sems sde alone. Is it possible with HYT creation and completion stages? If yes does one has to engage in completion practice with signs in order to attain rainbow body or is practice without signs "enough"? I never heard him say that, but I have no reason to don't believe you. Anyway the "man ngag sde", in particular the "yang sang lana mepé kor" (the nyingtik), have a lot of deity practices that connected to those teachings. I am not really trying to prove something here, but it is just kind of obvious. Yes, as a support for practitioners, one can use any deity, not just "nyingma" deities. But deity yoga is not the main path for man ngag sde, unlike sems sde. Of course, any deity is fine and the natural state is the main practice. How to attain rainbow body? Following quote is from an old topic - "Rainbow Body - Why?". It is very clear and brief answer. "Rainbow body" is a name for what happens when the elements of body reverts back to their original nature as pristine consciousness as a result of the process of Dzogchen practice or completion stage practice. A key point of Vajrayāna is that there is no buddhahood that is not grounded in the body. Hence, the attainment of rainbow body, or the body of light, is regarded as proof that a practitioner has attained buddhahood. This is never mentioned in sūtra because sūtra has no methods of practice that involve the body as a vehicle for awakening. If you have time, please listen Chamtrul Rinpoche teaching on "The Six Bardo Teachings of Life and Death". You will get detail answer in Life and Death topic and some interesting references. Beware of dogmatic anwers to this question. On such a profound topic, no one but your own teacher can be wholly trusted. there is no "one size fits all" Dzogchen.